A weekend meditation retreat was hosted in Columbia, Missouri focused on disrupting patterns that hold us as individuals and as a society down. Sherry Ellms, an Associate Professor at Naropa University and Senior teacher in the Shambhala lineage of Tibetan Buddhism, wanted to host an event with the goal of helping people find joy, resilience, and justice in the midst of heartbreak. Sherry has been leading meditation and nature-based retreats, with a focus on application to leadership, earth stewardship, and personal sustainability. Hempsley was a cosponsor of the event, and provided a custom herbal infusion for the attendees to enjoy! 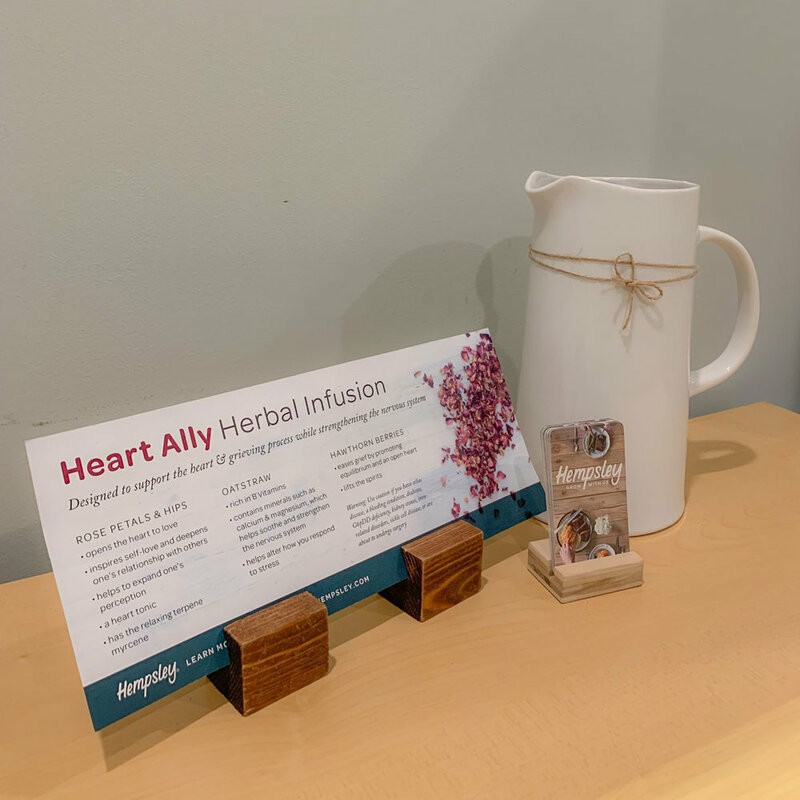 The Heart Ally herbal infusion included rose petals & hips, oatstraw, and hawthorn berries. Each herb was carefully chosen to produce a balanced blend perfect for the intended purpose of supporting the heart during the grieving process while strengthening the nervous system. We were so excited to be a cosponsor for Sherry’s retreat and look forward to her future events! If you are interested in having Hempsley create a custom herbal blend for your next event, you can contact us through the button below.